Roster Moves and Injury Updates · Let's Go Amerks! 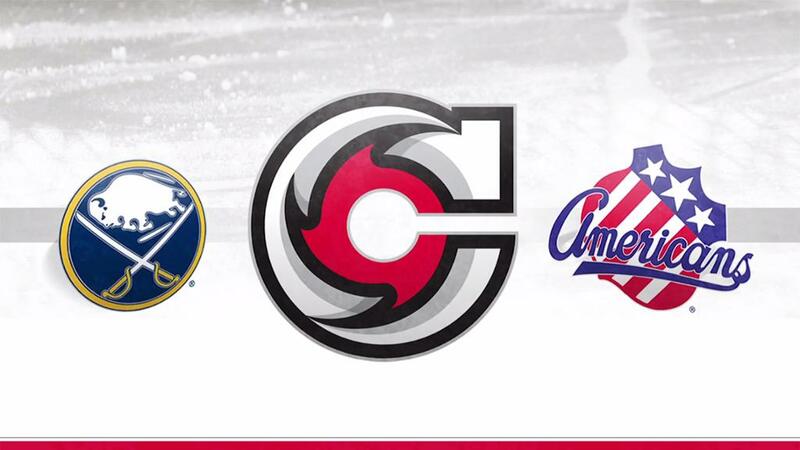 The Amerks finished their weekend road trip to Canada and have sent Justin Danforth, Arvin Atwal and Eric Knodel back to the Cincinnati Cyclones. Justin Danforth was an anticipated call up as a leading scorer in the ECHL. He played on Saturday night against Belleville and three shots playing on a line with Adam Krause and Eric Cornel. He was called up with Garret Ross out on the injured list. Eric Knodel and Arvin Atwal were called up due an injury to Brendan Guhle (lower body/day to day) along with Matt Tennyson and Casey Nelson called up to the Sabres. Knodel had played in the last three games, Atwal in the last two. Tennyson returned to the Amerks on Saturday and played in Belleville. Stuart Percy left the game late in the first period in Toronto on Friday night due to an apparent lower body injury. He didn’t play on Saturday night. Nathan Paetsch was also out of the lineup this weekend for unknown reasons. With the AHL All-Star break starting today the Amerks aren’t back on the ice until Thursday so we’ll likely wait until then to see if any of them are needed back and who returns from injury.